Tale Weavers is an initiative that aims to engage with children and young people through stories that challenge stereotypes and break the barriers in creating a just society. 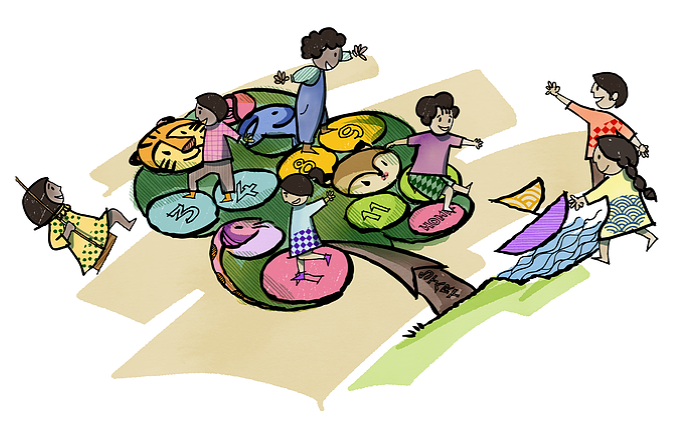 Nanditha Ravindar and Sharda Vishwanathan from Tale Weavers took some time out to tell us about the power of children’s stories in creating positive social change in this guest blog. Imagine if we told you a good height and a fair complexion are the two things you need to become a successful entrepreneur. Imagine if we told you the amount of dowry (gifts in kind and cash given by a girl’s family to the boy’s family at the time of marriage) payable is proportionate to the ugliness of a girl. Imagine if we told you that only boys can be adventurous and engage in outdoor activities while girls are confined to domestic roles. We only asked you to imagine these scenarios- so it probably doesn’t seem like much of a threat. But the sad truth is, school textbooks in India often promote and propagate these harmful stereotypes thus reinforcing parochial gender roles, rigid gender norms and unfair beauty standards that further body-shaming on many levels. Action Aid, a non-governmental organisation analysed textbooks of grade second to fifth which included 10 National Council of Educational Research and Training textbooks for subjects including Hindi, Mathematics, English and environmental studies. The analysis showed that across most of the textbooks, there was a clear gender-based division in portraying labour. For e.g. in the class five mathematics textbook, all the jobs including that of a farmer, milk seller and shopkeeper are performed by men. Similarly, in the environmental studies textbook, while men are depicted as soldiers, doctors and officials, women are relegated to the domestic sphere performing cooking and household chores. In February 2017, the Maharashtra State Board of Secondary and Higher Education received a lot of flak when a Class XII textbook prescribed by the Board justified the practice of dowry and suggested that the parents of a girl who is either handicapped or ugly are often helpless and have to pay a price to the groom to get their daughters married. The perpetuation of such regressive stereotypes in textbooks is not just limited to India but can be found in most textbooks across continents. In 2016, the Guardian and in 2017 the BBC came out with articles highlighting ways in which books represent men and women taking on roles in line with the traditional/ conventional gender roles. For e.g. a primary school reader in Haiti, represents mothers as caregivers relegated to the domestic sphere and fathers as the primary breadwinners for the family. Similarly, a Turkish textbook, talks of a boy dreaming of becoming a doctor while a girl dreaming of her wedding day. Further, research also shows that these stereotypes extend beyond mere words to illustrations as well wherein women are systematically underrepresented with 56 percent of illustrations in a textbook for class five representing men while only 20.6 percent represent women. It is appalling to say the least that books not only follow a curriculum that is far from being gender sensitive but also carry narratives which instead of challenging the status-quo reinforce such patriarchal mindsets. Education, be it the core curriculum or literature in the form of stories, plays a powerful role in shaping children’s perspectives about themselves, others and the world we live in. Especially for students in primary school, a crucial and tender age, it influences mindsets and attitudes where opinions, judgments and ideas about the real world come to be formed. Such regressive narratives form the bedrock as children come to internalize these harmful traits through the characters they encounter in them and hence it becomes important to create an inclusive learning space which is free of any bias — be it gender, religion, race, nationality, sexuality or ethnicity. It is against this background that we created Tale Weavers, an initiative that aims to engage with children and the youth through stories that challenge stereotypes and break the barriers in creating a just society. We decided to call the initiative Tale Weavers- Weaving Tales, Breaking Stereotypes and officially launched it in March 2017. We wanted to create a world by weaving stories with characters who are lively, intriguing and life-like. Through simple conversations, colourful illustrations and powerful characters, we aspire to craft such stories with a specific goal in mind — in this case, breaking regressive stereotypes that for years have been propagated discrimination around gender, race, class, caste and other social constructs. There’s no doubt that whatever children see, experience, hear or learn during their pre-teens or teens is crucial to how they see the world around them. It is therefore important that we ensure they don’t grow up thinking there are limitations to what people can do solely based on their gender. And it is here that we wish to also equip children with different life skills through our stories. We aspire to create a world where our boys do not shy away from careers in arts and girls pursue science, technology, engineering and math (STEM). A world where children are equipped with basic financial literacy skills that will inculcate in them the importance of savings and money management from a very young age. A world where our princesses no longer dress in pink or need a prince to come to their rescue but are strong, independent women who take on challenges. Like most non-profit organisations, access to resources has been a constant challenge. We are a small team with 5 writers and 5 illustrators and given that our initiatives aim to engage with children, it becomes key to have volunteers who can translate complex ideas into simple content. It is here that we are really thankful to our global team of volunteer writers and illustrators who bring to the table a new idea and a fresh perspective which is at the heart of every Tale Weaver’s story. I would also like to highlight our partnership with The Red Elephant Foundation (REF), as our Training and Curriculum Partner. While Tale Weavers brings in refreshing stories of change and uses interactive storytelling, the Red Elephant Foundation plugs in the training component. Through our collaborative work, we address themes of gender equality, peace education (equality and diversity, tolerance and inclusiveness across identities such as race, religion, nationality, colour, ethnicity, caste etc. ), and also literacy on various aspects of life skills — such as financial literacy, safety, menstrual hygiene etc. We are also actively seeking collaborations with schools as well as community centers to take our stories to a wider community of children and empower them with different life skills. Parents and teachers can connect with us and we can either have our volunteers conduct these sessions, or train them to conduct the storytelling sessions. While all our stories can be applied to a global audience, we also customise our stories to inspire children and foster a community of change-makers. 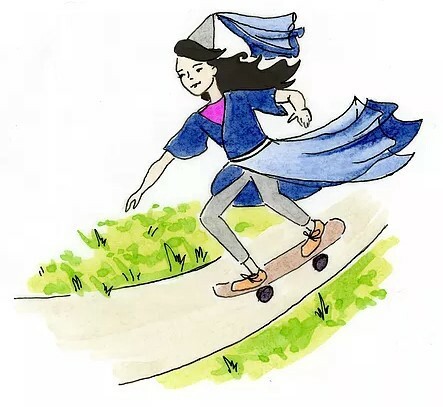 To read our stories, please visit our website: www.tale-weavers.org and follow us on Facebook and Twitter for regular updates on our new stories and activities. Thank you!